Nashville and the surrounding locations have experienced rapid growth in recent years. Nashville currently adds about 100 new residents each day. Job growth and the real estate market in general, has steadily increased in recent years. With a solid real estate market comes the need for more expanded mortgage options. For the high-cost homes, the Jumbo financing options have historically been limited. 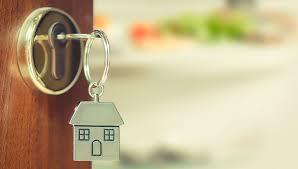 However, that has changed with the recent expansion of more low down payment programs. Jumbo loans today come in all shapes and sizes, below we will outline the approval requirements home buyers should know. Note: Jumbo loans in Tennessee are those that exceed the standard Fannie Mae limit. In most TN counties this limit is set to $484,350. A handful of counties (Davidson County included) the limit is slightly higher. The first thing buyers should know is the guidelines listed below apply only to owner-occupied and second homes. Investment or rental homes are only permitted with a min 20% down payment. Financing up to 85% – loan limits to $3.5mil – credit will depend on the actual loan amount. 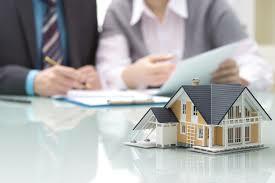 These programs do not require the buyer to carry mortgage insurance or PMI. Tennessee buyers have an assortment of term options, like regular 30 & 15 year fix rate, or adjustable rate 3,5,7,10 year. Interest rates are surprisingly attractive and often comparable to conventional loans. As with the case of all Jumbo loans, buyers should have payment “reserves” after closing costs and down payment. For 95% financing, 3-6 months of reserves are customary. Higher loan amounts will require 9-12+ months. Retirement accounts (not liquid) are eligible to meet these requirements. Plenty of cash out and regular refinance options available. Please read more about Jumbo Refinance here. Single-family homes, condos and townhomes are eligible. Fixer upper homes, investment homes, lot & land loans are not eligible. Borrowers that want to learn more can connect with us by calling Ph: 800-840-6449 or just submit the Quick Call Form on this page.